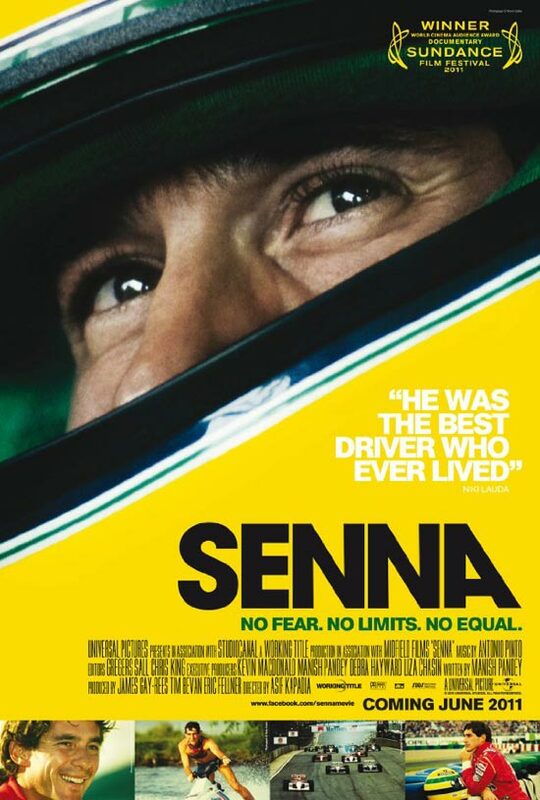 Just finished watching the 2010 Senna documentary which touches on the life of 3 time Formula 1 Champion Ayrton Senna (Ayrton Senna da Silva in real life) whose life was abruptly cut short by a fatal racing crash. Back in his time there wasn't much computer assisted electronics incorporated into a Formula 1 car to help a driver negotiate curves, it was pure driving skill, proper car tuning and raw machine horsepower that allowed a man to win a race. If you are expecting HD quality on this you can forget about it. Most of the footage here was taken from 80's & 90's footage of F1 racing events, personal interviews and home movies. But what you will be able to take with you is a peek into the life of one of the greatest drivers ever to get behind the wheel of a formula one car, as told by him and the people who have been around him. Truly a good watch for racing and non-racing fans alike. When I was in highschool I watched replays of Senna winning F1 races in the late 80's with his iconic McLaren MP4/4 powered by Honda. Those replays were what wanted me to be a spectator of Formula 1 racing. Come the mid 90's, my prayers were answered, Thanks in part to the initial penetration of cable networks into Asia which gifted us with live broadcast of world news, shows and of course, sporting events. Kinda hard to be a fan of something when the only news you get about it is a short quote from the nightly news broadcaster that so-and-so won the Championship of so-and-so sport, but cable changed all that. Despite that however, it was too late to catch a glimpse of Ayrton Senna. By the time Formula 1 made it into our cable channel Ayrton Senna had already passed away. Too late already to catch a glimpse of my idol in a live race, albeit a thousand miles away.